Today, iron and its alloys, such as steel, form the basis of machine technology in the world and are widely used in various industries, including the construction of buildings, bridges, the automobile industry, the shipbuilding industry and the production of locomotives. The importance of the steel industry in the development of different countries, the environmental sustainability of this product, as well as the forecasts of international organizations in increasing global steel demand in the next few decades, contributed to the support of this industry by governments and private-sector investment companies. The largest steel producers in Iran exported 4.71 million tons of steel from March 21, 2018, to January 20, 2019. This is 19 percent less than the export volume for the same period in the previous year. Over 40 percent of crude steel produced in Iran is exported to various markets around the world, said the head of the Iranian Organization for the Development and Reconstruction of Mines and the Mining Industry (IMIDRO) Hodadad Garibpur. The official noted that of the 1.79 billion tons of world annual crude steel production, about 30 percent is exported by producing countries, so Iran’s 40 percent share in exports is higher than in the world. A recent report published by the World Steel Organization (WSO) showed that Iran became the 10th largest steelmaker in the world in 2018. According to the WSO report, Iran produced 25 million tons of crude steel in 2018, which indicates a growth of 17.7 percent compared to 21.2 million tons in 2017. WSO was founded as the International Iron and Steel Institute on July 10, 1967. It changed its name to the World Steel Association on October 6, 2008. The association celebrated its 50th year anniversary in 2017. It represents over 160 steel producers (including nine of the world's 10 largest steel companies), national and regional steel industry associations, and steel research institutes. WSO members cover around 85 percent of world steel production. Currently, there are several dozens of economic departments in Iran, including the Mobarak metallurgical complex in Isfahan, the Cavian metallurgical complex, the Bonab metallurgical complex, the Save steel works and steel profile plants, the Fulad Khuzestan steel company and the industrial group Sepahan, which operate in the industry the production of steel and its products, such as rebar, beams, and various types of steel leaves. Products of the Iranian steel industry, not only provide domestic needs but also are exported to some countries of the Middle East, Africa and Europe. 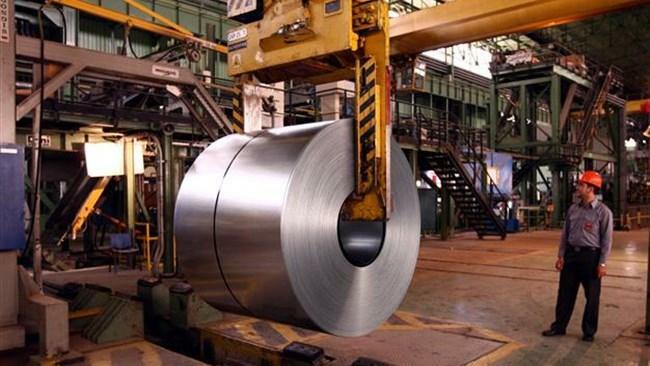 According to the Iranian Steel Producers ’Association (ISPA), to achieve the target of up to 55 million tons per year by 2025, Iran’s steel industry needs new investments $ 27.4 billion. About $3.5 billion must be invested directly in the production of steel and raw materials. The main importers of steel products were CIS countries and Asian countries.